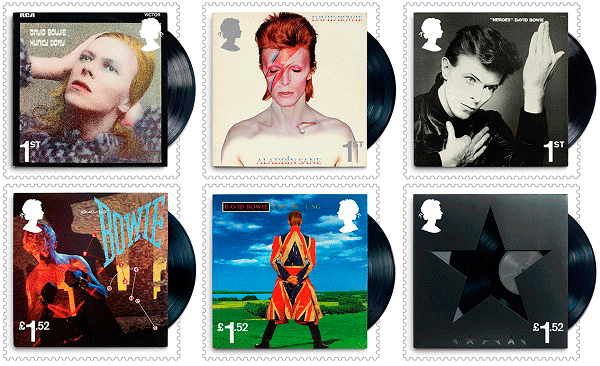 Royal Mail has honoured the unique talent and musical innovation of arguably the world’s greatest ever performer by releasing four new, limited edition David Bowie stamps that feature Ziggy Stardust, Earthling, Let’s Dance and Blackstar. After a career in the music industry spanning five decades, Bowie died on 10th January 2016, aged 69. He was renowned for his ground-breaking work. His record sales topped 140 million worldwide; he received nine platinum, eleven gold and eight silver discs in the UK and had 11 number one albums. In the United States, he achieved seven gold and five platinum albums and was inducted into the prestigious Rock and Roll Hall of Fame in 1996. Born David Jones in Brixton, London, on 8th January 1947, the singer/songwriter formed his own band, The Konrads, at the age of 15. On leaving school, he joined the King Bees and was offered his first contract – although the debut single, Liza Jane, had little commercial success. Undeterred, Bowie joined blues outfit the Manish Boys, followed by the Lower Third. Changing his name in the mid-1960s, it wasn’t until 1969 that Bowie enjoyed commercial success after releasing Space Oddity on 11th July – coinciding with the Apollo 11 launch. It reached number five in the UK singles chart. In 1972, Bowie introduced his famous persona, Ziggy Stardust, with band the Spiders from Mars. Enjoying massive success in the UK and USA, his 1972 appearance on Top of the Pops performing Star Man is largely credited with sparking the glam rock revolution. In 1973, Bowie became the Thin White Duke, finding further chart success in the UK and US with hits like Rebel Rebel, Diamond Dogs, Young Americans and Fame, which was his first US number one. During the New Romantic era of the 1980’s, he enjoyed further album success with Scary Monsters and Super Creeps which included the number one hit single, Ashes to Ashes. He joined Queen in 1981 for Under Pressure, reaching number one in the UK singles chart. His meteoric success continued with Let’s Dance (1983); the Serious Moonlight Tour; two awards at the 1984 MTV Video Music Awards; a role in the 1986 film Absolute Beginners; and the Glass Spider Tour. In the ’90s Bowie’s new band, Tin Machine, achieved success and this was followed by the seven-month Sound and Vision Tour. He was inducted into the Rock and Roll Hall of Fame on 17th January 1996. On 7th January 1997, he performed live at Madison Square Garden, New York, celebrating his 50th birthday. In 2004, while on tour in Germany, Bowie was diagnosed as having a blocked coronary artery, requiring immediate surgery. He reduced his live and studio work to a minimum. He was awarded a Grammy Lifetime Achievement Award in 2006 and performed at New York charity concert the Black Ball, in aid of Keep a Child Alive. A new album, The Next Day, was finally released on 8th March 2013. The single reached number one in the UK iTunes Chart within hours. He won the 2014 Brit Awards’ Best British Male and in November released an album, Nothing Has Changed. In 2015, he wrote songs for a Broadway musical, Lazarus and was recording his forthcoming new album, Blackstar. Lazarus’s opening night was to be his last public appearance. After Blackstar was released on 8th January 2016 to great critical acclaim, the music world was left reeling when the star’s death from cancer was announced just two days later. He had been diagnosed 18 months earlier but had not made the news public. The Royal Mail David Bowie presentation pack, stamp souvenirs and framed stamp sets – a limited edition of 950 – are available from 14th June. Cavalier Mailing supports the school of thought that sending direct mail with a postage stamp instead of a pre-printed envelope may increase the possibility of the letter being opened, giving it a more personal touch. 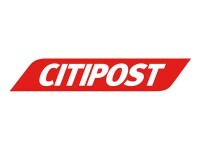 For further details, please don’t hesitate to contact the direct mailing experts.